Since coming back from Iceland I had a serious case of the 'travel bug' and needed to get it out my system with a little city break. 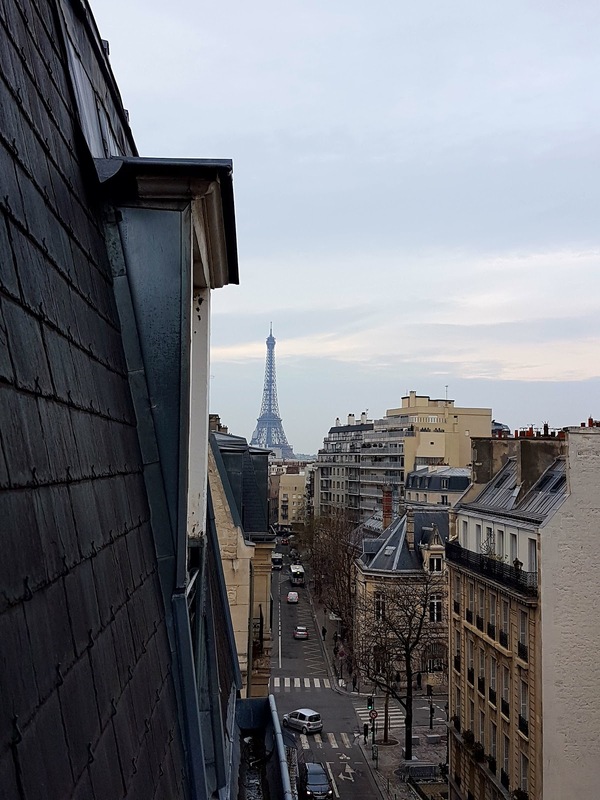 We were torn between Paris and Amsterdam, but ultimately Paris won with our beautiful hotel view of The Eiffel Tower. 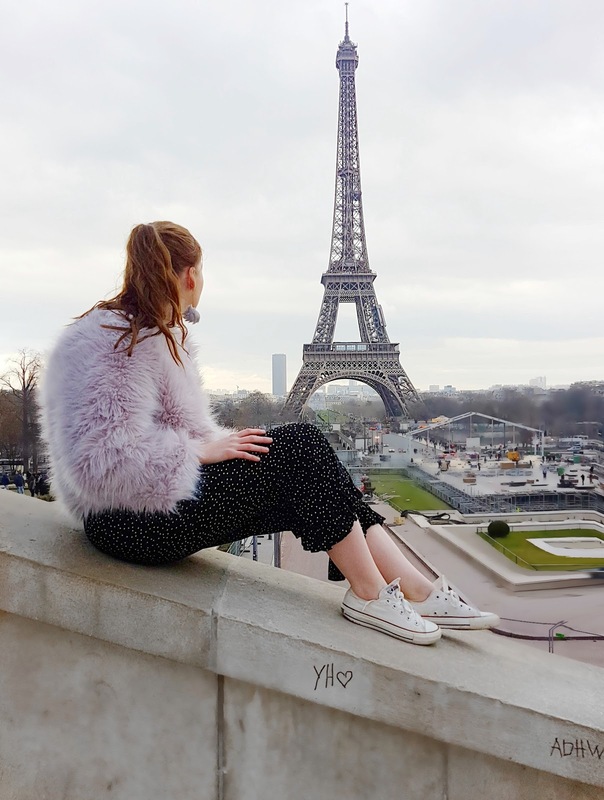 We stayed in Paris for four days and three nights, giving us plenty of time to explore the beautiful (be using this word a lot!) city of romance. 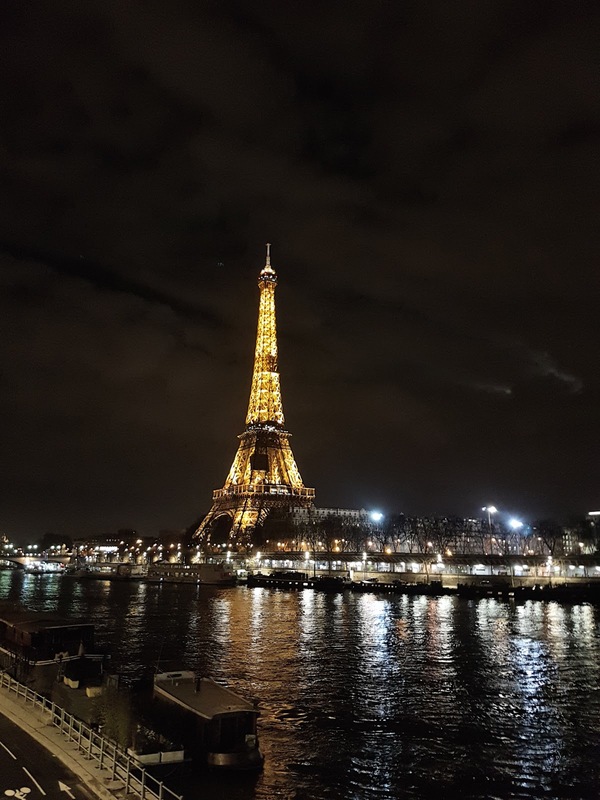 During our time we managed to tick off so many iconic sites of Paris and still had time to go on spontaneous late night strolls and eat lots of scrumptious sweet pastries. 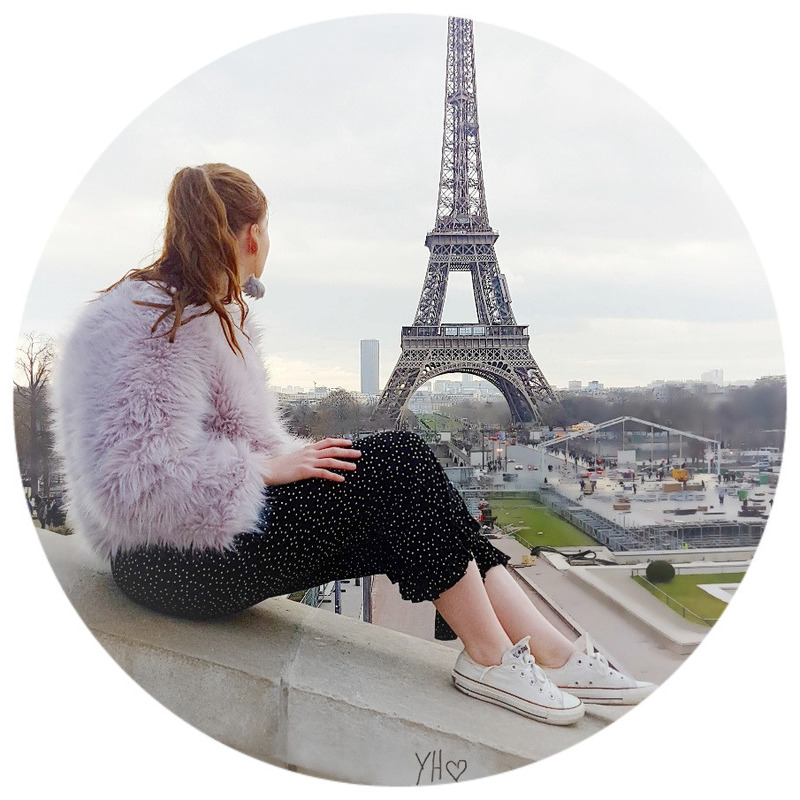 Here are a few photos of things we got up to during our stay! 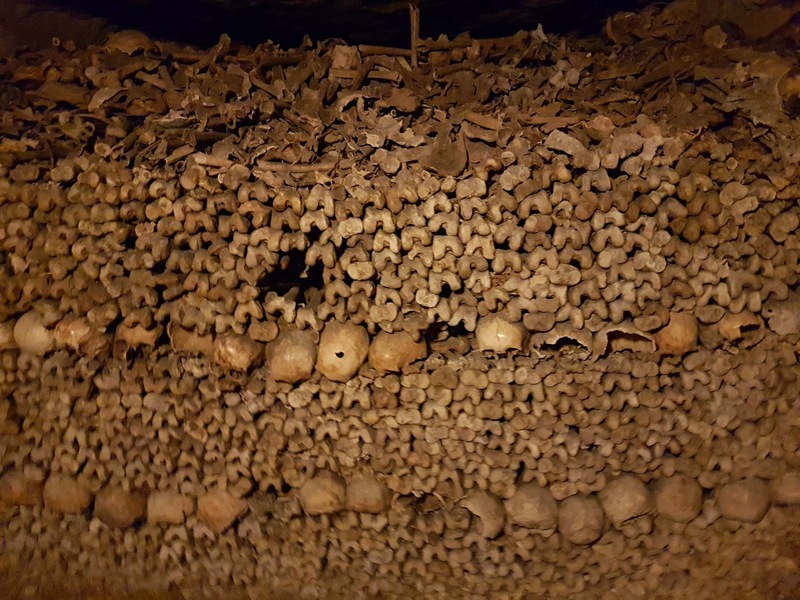 Twenty metres below the heart of the city lies the remains of over 6 million Parisians. Transferred there in the late 18th-19th centuries as graveyards were being closed because of the risk they posed to public health. 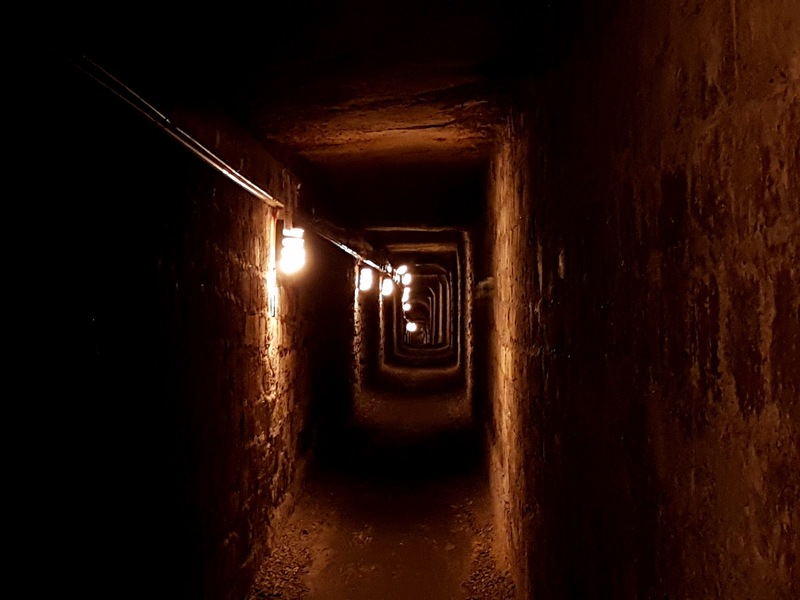 If you are really into your history I'd definitely recommend travelling down 130 steps to explore this eerie, poignant place. 3.) Wear comfy shoes as you will be walking a lot of steps! The worlds largest art museum and a historic monument, essentially where the famous Mona Lisa painting is located. 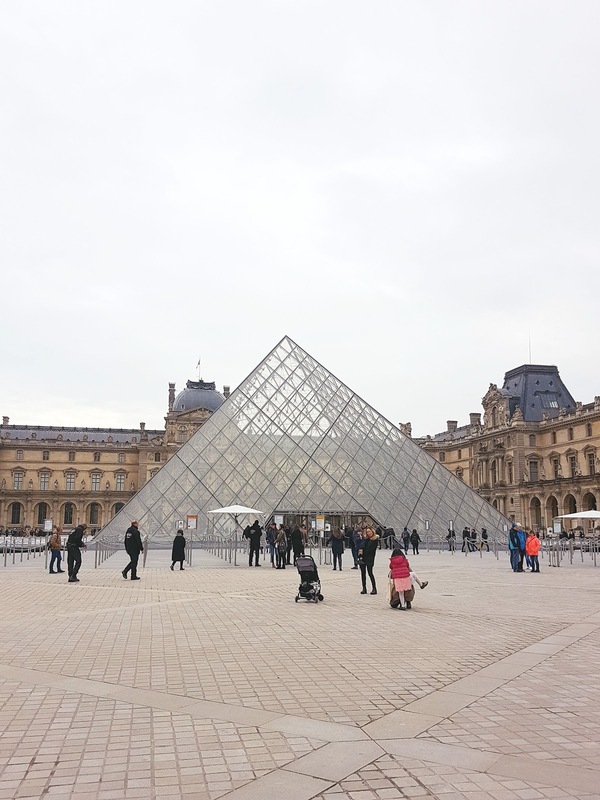 Not that we went into the museum, but when in Paris you MUST go visit the Louvre and take lots of touristy photos! We only stopped here for 15 minutes to get a photo, but if we had the chance to go back, I'd go in the evening when it's beautifully lit up. A fine example of French architecture, this Gothic cathedral is definitely a site not to miss! 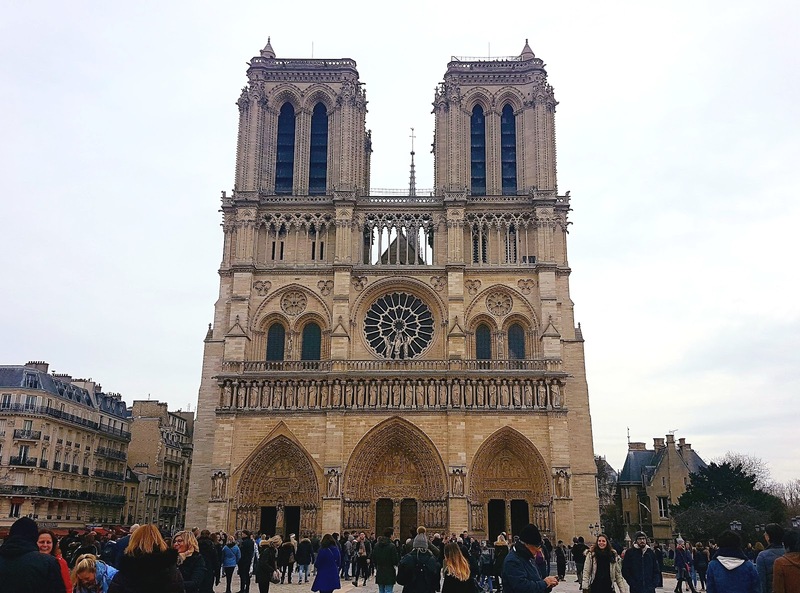 Stained glass windows, quirky sculptures and the beautiful sound of the chime that is reminiscent to The Notre Dame Disney film. Probably my favourite location in Paris and an area you could definitely spend all day at. 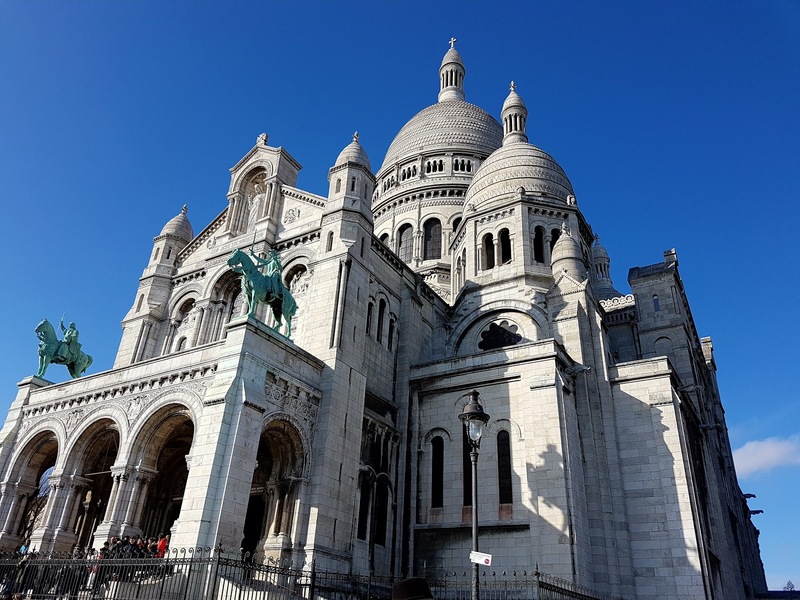 After walking up lots of cobbled streets and hills, there you will come across the iconic Sacre-Couer Roman Catholic church. 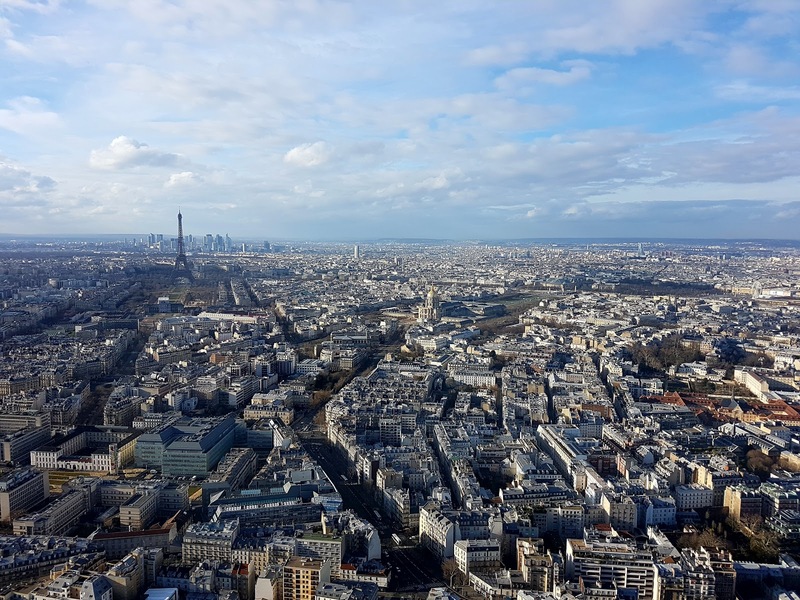 This is an amazing site to see if you want to see the view of Paris up a height. It was lovely and sunny when we came here so we sat on the steps and took it all in. 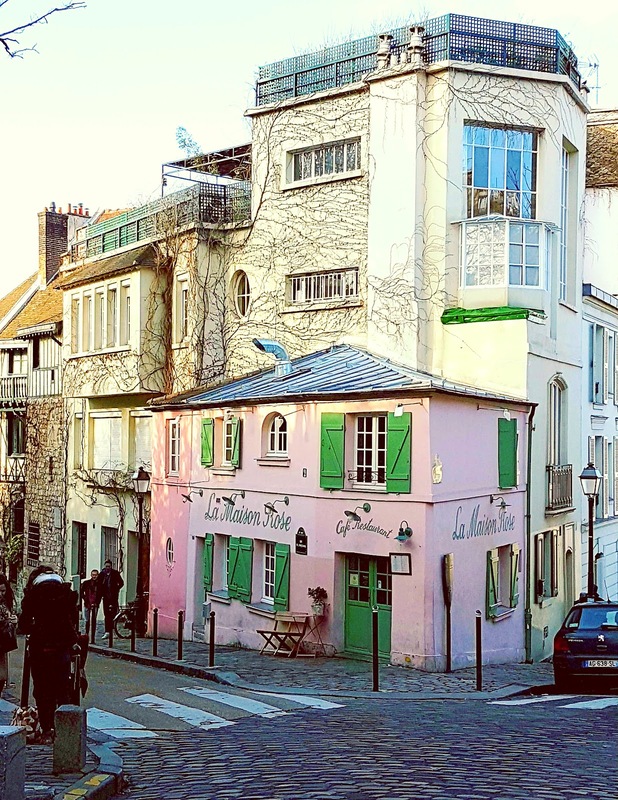 The streets in Montmartre are absolutely beautiful I sometimes felt as though I was in Italy never mind France. Home to lot's of interesting architecture, stunning views and the Moulin Rouge. I would definitely recommend spending a good few hours here. 1.) Climb the steps to the Sacre-Couer and take a photo of the beautiful city view! 2.) 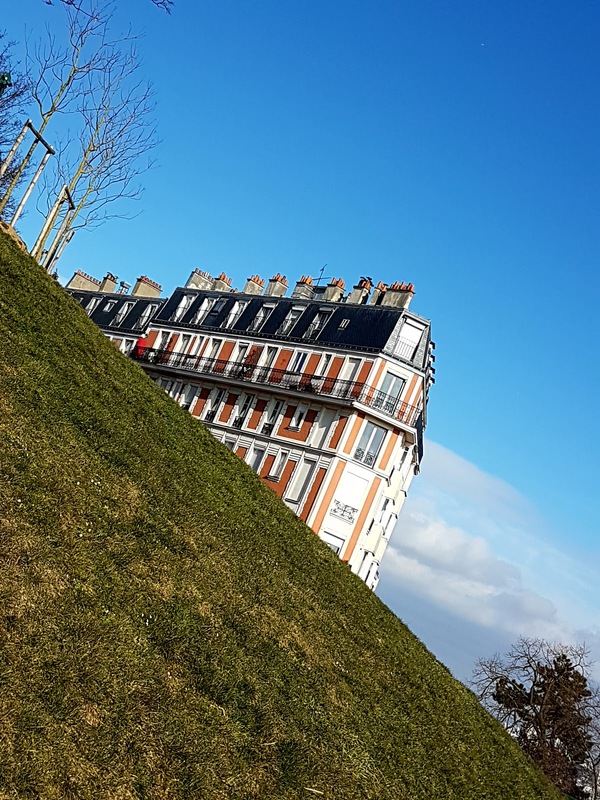 To the left of the Sacre-Couer is a building, if you tilt your phone you can create an optical illusion to make the building tilt. Pretty cool huh? 3.) Visit Amorino Gelato for the best ice cream shaped as a rose. How can you not go visit the Eiffel Tower in the evening and watch it magically sparkle?! 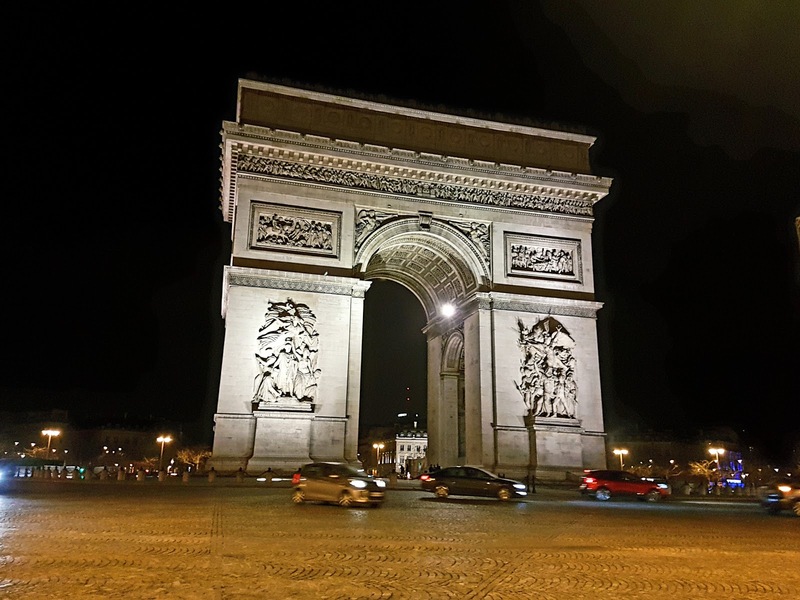 I loved all of Paris, but for me, the nighttime was the best as you could really take in the iconic landmarks. Every night in Paris we would go out for food and wander the streets of Paris until our feet were ready to drop off. I found myself constantly looking up at the Eiffel Tower and watching it glow, it really is one of the most stunning views I've ever seen. 1.) At night every hour on the dot for 5 minutes the Eiffel Tower sparkles, have your video record at the ready! 2.) It is supposedly illegal to post online The Eiffel Tower sparkling and you may get done for copyright as it is classed as art. I wasn't sure if this was true, but so many articles online say so, therefore it isn't worth the fine. 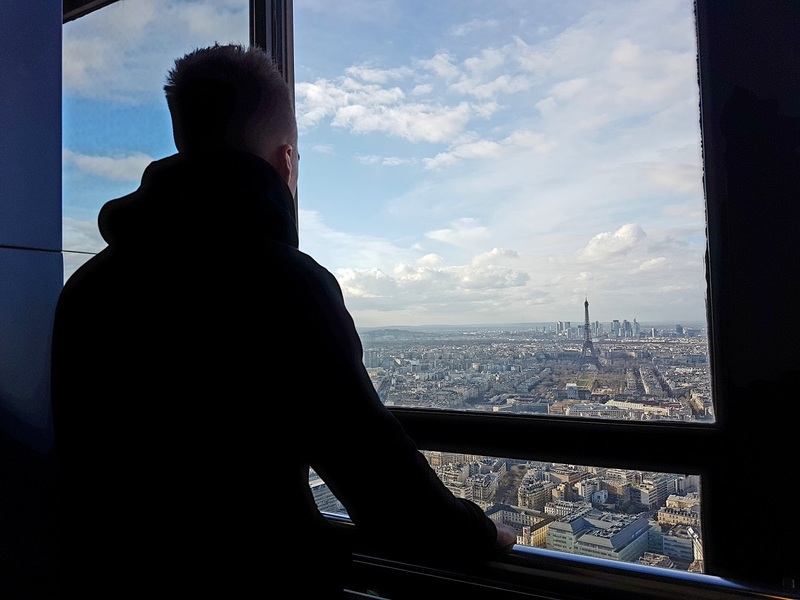 Before we went away I spent ages looking up places with great views of the city (including the Eiffel Tower) and the building that stood out was Montparnasse, which you just cannot miss, it is ginormous - 59 floors to be precise. The Pretemps building is also meant to be amazing (+free), but we went for this one and paid 17 euros just so we could see all angles and spend some time up there without getting cold. It was quite scary to think about how high we actually were, but the views we got were incredible! 3.) I would also suggest going in the evening I can imagine the view to look unreal! 1.) Watch for pickpockets, especially on the metro, don't keep any valuables in your back pockets. 3.) If you are taking the metro look online for metro passes as they are pricey and we were ripped off once or twice. We stayed at the Val Girard hotel and the view was incredible outside of our balcony. I loved Paris and would love to go back and maybe see Disneyland and spend more time in different areas. This city break has made us want to see more of the world, maybe Budapest/Hungary next? Little fact for you I am a quarter Hungarian so it would be interesting to see where my granddad was from. Have you been to Paris?? I've stood on top of the Montparnasse Tower at night and it's magical. 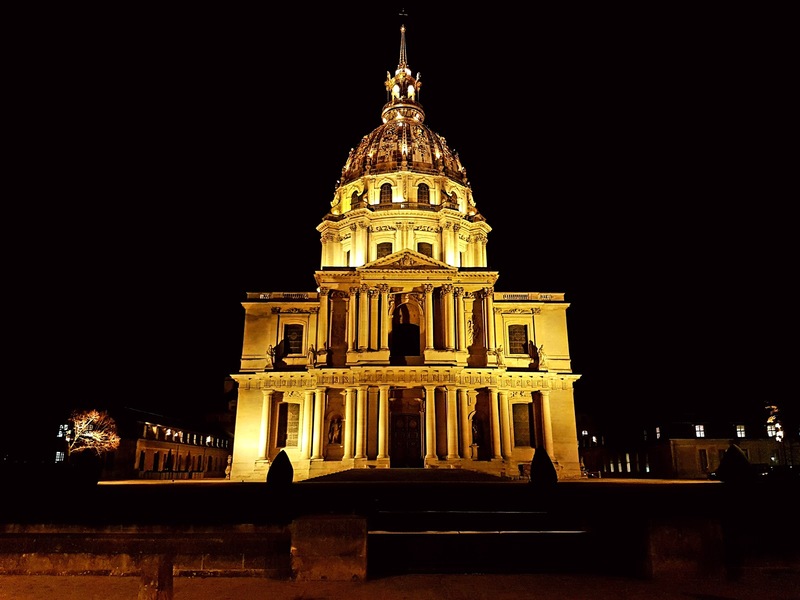 All the lights are on... Great post :) makes me want to go back. Gorgeous pictures! I went Paris in March and I've still got a few blog posts to write up with my own photographs. It's such a photogenic spot!